Myriam is a social, communications, and marketing research professional with more than 15 years of progressive experience in the manufacturing and financial services sectors, international development, and public diplomacy. She has worked extensively with domestic and international clients including Procter & Gamble, the Centers for Disease Control and Prevention, the Department of Veterans Affairs, the Department of State, and the American College of Rheumatology. She has supported projects in sub-Saharan Africa, Latin America, and Southeast and Central Asia, and she has a passion for conducting research among hard-to-reach populations. As Director of Research, Myriam leads ORI’s core team of researchers and analysts, applying her robust quantitative and qualitative research background and project management skills. She is an exceptional communicator who builds strong teams and thrives in entrepreneurial, fast-moving environments—adeptly managing multiple projects across different timelines (and time zones) without sacrificing quality. She has conducted more than 80 opinion polls worldwide, including phone and online surveys. Myriam’s unique combination of skills in statistical data analysis, classic marketing and consumer research, program monitoring and evaluation, and management consulting results in a customized client experience that informs association clients’ retention and engagement strategies. 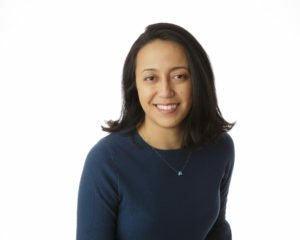 Myriam holds a Bachelor of Arts degree in Economics from Mount Holyoke College, a Master of Science degree in Global Media and Communications from the London School of Economics and Political Science, and a Master of Arts degree in Global Media from the University of Southern California Annenberg School for Communication and Journalism. She is fluent in French and Spanish, with conversational fluency in Arabic (Moroccan dialect).